Nain Katri Mat Maro old traditional song of Rajasthan is a famous song. It is a kind of old fashioned song. If you love such type songs then it is for you. Also, get the song lyrics below the fold. Watch it NOW. 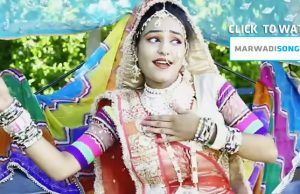 Click to watch Nen Katari Mat Maro Rajasthani song. Let us know about your experience with our site. Have you enjoyed here or not. Comment below to express your thoughts. If enjoyed then visit here for more entertaining videos.